For 15 years, the foie gras industry has been fighting a legal battle with California trying to get the ban repealed. But this week, the Supreme Court rejected the industry's last bid to fight California, making California's foie gras ban the law of the land. In order to make foie gras farmers shove up to 30 pounds of grain and fat down their birds' gullets a week. This is far more than a duck would ever consume. The process of forced overeating causes their livers to painfully grow up to 10 times their normal size. Some birds' livers become so big they can't even stand. Now that California has shown that a statewide foie gras ban will hold up in court, there is no reason for other states not to follow suit — including states like New York, which is home to the nation's largest foie gras farm in the U.S. It's time this practice is banned countrywide but the only way that can happen is if people like you stand up and say enough. So let's do it! 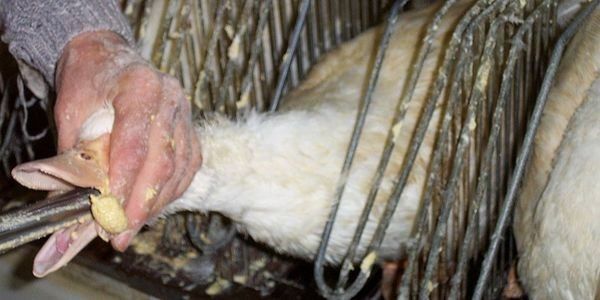 Sign the petition and tell your state representatives to do the right thing and pass a foie gras ban in your state.